midweight silk fabric, distinctive for its irregular, grainy surface. Typically used in linen weave, with natural silk or rayon in the warp and doupion in the weft, which heightens the effect of the fabric. 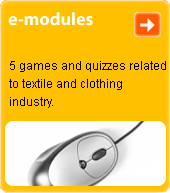 Used for blouses, shirts, ladies' dresses and ladies' suits.